Minmi paravertebra and Minmi sp. Minmi is the iconic Australian ankylosaur. Most people, when they think of such things, think of the spectacular referred skeleton with agood skull and in situ armour. 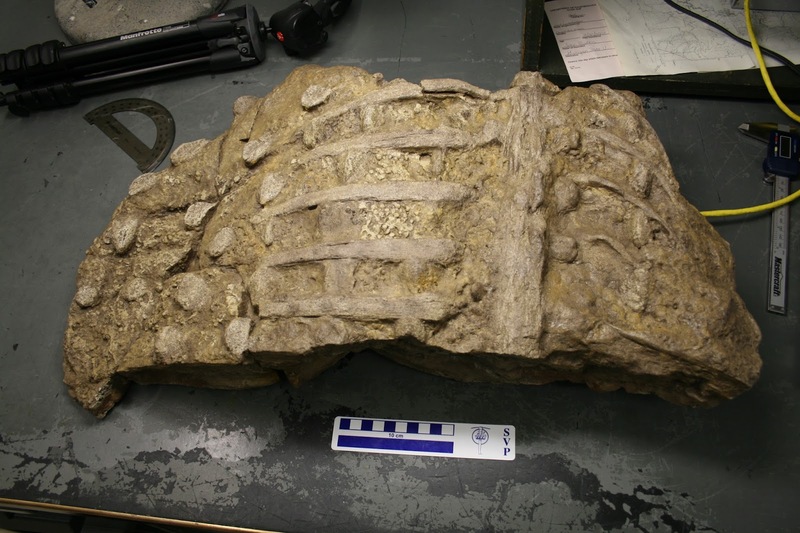 The Smithsonian has a cast of the specimen – here’s a section of the ribcage, showing some of the osteoderms in their original arrangement. Sadly, the holotype is extremely fragmentary and has few elements to make a diagnosis with. Originally, one of the most striking features of Minmi paravertebra was the presence of paravertebral elements, thin rod-shaped bones along the dorsal vertebrae. These were originally interpreted as ossified tendons of the dorsal muscles, and although these are cool to see in Minmi, they are not really unique to Minmi or even to ankylosaurs, since ossified tendons are ubiquitous throughout Ornithischia. One unusual aspect of these ossified tendons is that one set has a flattened, expanded front end. These were interpreted as possible ossified aponeuroses (aponeuroses are sheets of connective tissue in between muscles and tendons). This particular aspect of the ossified tendons IS very unusual, because ossified aponeuroses are extremely rare in animals. 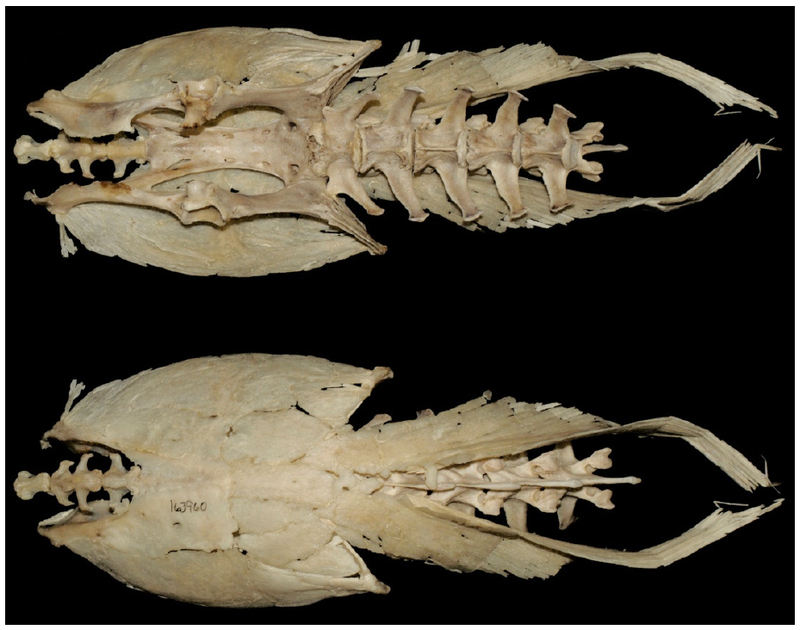 While I was hunting around for information about ossified aponeuroses, I came across a very odd case study about mouse deer (Tragulus)– the males completely ossify the aponeuroses above their pelvis and back, creating a carapace-like structure! This is super weird and I would love to investigate this further at some point. Ossified aponeuroses have since been identified in the European nodosaur Hungarosaurus, which poses a bit of a problem for Minmi: since this feature was one of the only diagnostic characters for Minmi, and since it is now found in an animal that is very unlikely to be Minmi given the spatial and temporal distance between the two, Minmi paravertebra is left without diagnostic characters. A sticky situation that will hopefully be resolved in the future by people who have spent time with the original fossil material! Did you know that the first dinosaur discovered in Antarctica was an ankylosaur? Cryolophosaurus might get all the buzz, but Antarctopelta was first to the press. Antarctopelta is a very interesting little ankylosaur, which I had the chance to study during my visit to Argentina back in 2011. The material is fragmentary but tantalizing, with some pieces of the pelvic armour that are reminiscent of ankylosaurs like Stegopelta and Glyptodontopelta from North America. Unfortunately, in the course of my research I noticed that some of the bones attributed to Antarctopelta and used to help diagnose the taxon didn’t quite seem like they came from an ankylosaur. The material was found on an ancient beach strandline with some marine fossils mixed in, and it looks like some of the material originally interpreted as ankylosaurian might be better interpreted as belonging to a mosasaur and a plesiosaur. In the end, we weren’t left with any diagnostic characters for Antarctopelta and we should consider that a nomen dubium for now, but there’s definitely an Antarctic ankylosaur and I hope at some point some better material is recovered so we can determine the best name for this guy. Finally, I also had the chance to study the only described ankylosaur from Argentina. This is also a fairly fragmentary specimen, and it came from a channel lag deposit so it’s possible that more than one individual is represented. 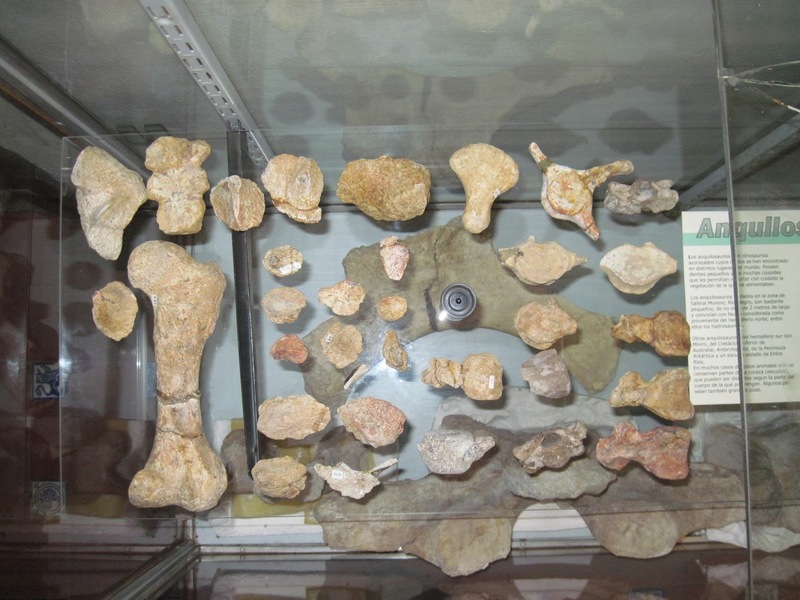 There are osteoderms, some vertebrae, and a femur, and all are very small – about the same size as the juvenile Anodontosaurus (originally described by Coombs as Euoplocephalus) from Alberta. The femur is interesting because it has some very prominent ridges running lengthwise on it, which seem to be intermuscular lines; these are present but very faint on some other ankylosaurs, and I haven’t encountered anything like that in other ankylosaurs. There also may be fragments of the cervical half rings preserved as part of this specimen, since there are some unusual curved osteoderms with multiple peaks and keels. These don’t bear any resemblance to other half rings I’ve looked at, and cervical half ring morphology seems to be taxonomically informative for ankylosaurs. Together, the weird intermuscular lines and unusual cervical half ring fragments might be enough to diagnose the Argentinian specimen as a new taxon, although we withheld from doing so at present. Here’s the specimen on display at the Museo Carlos Ameghino in Cipoletti! There have been reports of some possible ankylosaur material from India and Madagascar, although much of this material is either very fragmentary (a single tooth from Madagascar), or has not been described (material from India). Stay tuned to find out more about how these rare ankylosaurs fit into the big picture of ankylosaur evolution! Next up: a grab bag of everybody else!